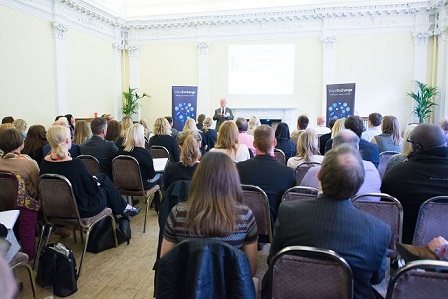 Marketing tips to take away from Leeds Business Week! Last week a few of the Andiamo! team headed to Leeds Business Week to network and acquire information from experts about social selling and content marketing. In Stay front of mind with customers by Engage Comms it was very interesting hearing about the differences between Traditional Marketing vs Content Marketing and how things have changed. Traditional marketing talks at people whereas Content marketing talks with them and is customer-centric. Creating useful content is key to attracting buyers, not browsers. Investing in quality content and having a clear content strategy from the outset is very important. You need to think who you’re aiming your content at and choose the right tone of voice and frequency of content adapted to that audience. Content marketing should be a conversation, not a broadcast and a long-term commitment. In Up, Periscope! Social Media and your business Chris Allen gave a very interesting talk on Periscope, which is Twitter’s live video broadcasting app. Video is said to be the next big thing and one day may even take over the written word. We tried out the app and did a live broadcast to all Chris’ followers. In all honesty, it still seems a bit of a novelty at the moment but it’s definitely worth knowing about and it’s worth signing up to see how other people are using it! The importance of listening in Social Media and CRM by Creative Race really reinforced the earlier talk and also looked at the differences between Owned, Earned and Paid Media. Owned includes your brochures, blog, e-newsletters and website and brings customers in. Earned is through word of mouth and recommendations which could be shares, likes or comments on your social media and will lead to loyal, repeat business and referrals. Paid includes advertising and PPC campaigns and effectively brings strangers in. Communications should be personal, relevant and timely. Break down your target audience and who they are. A welcome email and a link to click on marketing preferences is well received and professional. You also need to have Contagious Content (proactive), Creative Conversation (proactive and reactive) and Customer Service and Information (reactive). And finally, develop tone of voice guidelines for use by all staff. 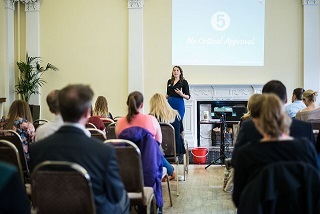 Unlock your potential and grow your business by Vodafone had a guest speaker, Kate Lester from Diamond Logistics who answered the question when asked about her working hours “Work life balance, what’s that?! !” She was very inspiring and talked about the turning points for her, changing a stable but small business into the successful multi-million pound business it is today, through hard work and investment. Kate was very open and really keen for other small businesses to skip out the mistakes she made along the way and head straight for success!! Nigel Cliffe’s LinkedIn top ten tips on customer engagement was jam-packed with useful information and definitely had a lot more than ten tips included! He explained that nowadays, people look at your LinkedIn profile to find out more about you before they do business with you so it’s really important to have a full profile and be active. Once you’ve followed Nigel’s checklist on how to have an “All-Star” profile – which includes points like having a professional photo, at least 50 connections and at least 3 previous job roles – you need to start thinking about who you should follow and what you should post. You should announce successes and important news, give and ask for advice and share other people’s content. It’s not about selling, it’s about engaging, being seen as knowledgeable and then gently promoting when you see fit. Bryony Thomas gave lots of fantastic marketing advice in her seminar Tweak your marketing leaks and double your profit. The focus was on what could be preventing your marketing converting to sales so, essentially she taught us how to stop the leaks. It’s important to nurture your new and prospective clients at every stage of the buying process – especially straight after a purchase. Don’t just send your client an invoice, send them some useful information or a testimonial to demonstrate why they made the right decision and that you’re there to help with whatever they need. Yo-yo marketing (the cycle of putting in lots of effort, winning a quote and delivering before starting again) is not an effective way to market. It needs to be constant and you need to take small steps in order to improve your long-term marketing strategy. As always Jonny’s talk SEO, blogging and LinkedIn – Digital Round Up – Part 2 was very engaging and full of information to take away. It was great that Jonny decided to split his seminar in two to allow himself to go into more detail about specific platforms. He spoke about the importance of both on-site SEO and off-site SEO. On-site SEO is your content and usability whereas off-site SEO is reviews and links to your site. It was useful to build on the information from Nigel’s talk on LinkedIn on Tuesday by finding out how to really optimise your profile for Google and how to get other staff members to optimise theirs in a similar way. The blogging tips were excellent, particularly the information about how to prepare an editorial calendar and organise yourself to ensure you have regular, interesting weekly blogs. At 6pm we finished off the week nicely by going along to the big networking event at Chaophraya. It was great to chat to people from a range of different industries and it helped us find out more about the sort of understanding people have about the translation industry. All in all, Leeds Business Week was fantastic, so a massive thanks to the Yorkshire Mafia. Now we can start putting our new ideas into practice.